Thinking of having a small, intimate wedding or elopement ceremony somewhere spectacular, but wanting to stay in Georgia? Check out these amazing spots. You can have a gorgeous, unique, and private ceremony in some of the most incredible spots that Georgia has to offer... no need for big venues or elaborate decor. These gems have you covered. The sunset from Arabia Mountain is nothing short of spectacular. A pretty quick hike to the top will get you incredible views over the tree tops for a really magical view, unlike anything else around Atlanta; and in the spring you can see some special red flowers that pool along the mountain! Talk about secluded! You have to take a special ferry to this private, gorgeous island that is home to wild horses! It's been kept supremely private and protected. You'll have to prepare with everything you'll for the duration of your stay because you not much else is on the national seashore wilderness preserve. You and your love could spend your wedding night stargazing on the Georgia coast -- just you and wild horses. 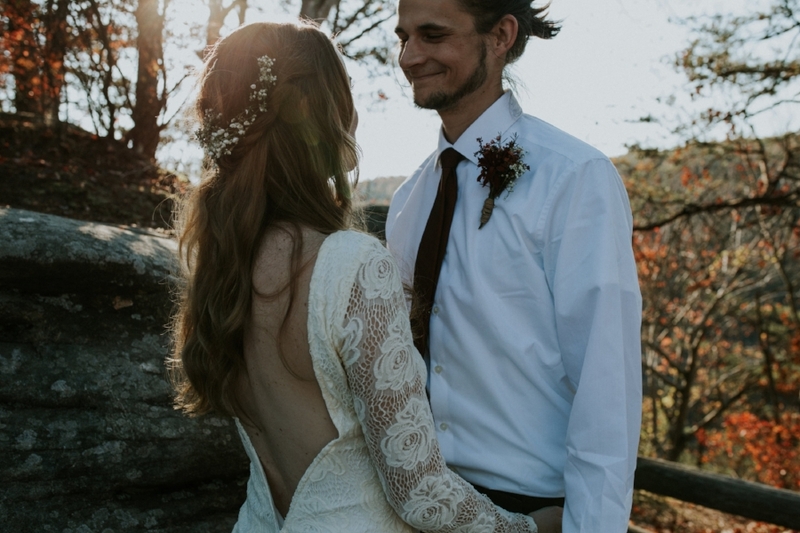 One of my very favorite spots in Georgia, this northwestern gem boasts dozens of miles of hiking trails with epic views, as well as two gorgeous waterfalls that make for special and unique backdrop for your vows--just be aware that of the stairs! This spot is full of amazing finds that you won't find anywhere else in the state, but is also a very strenuous park to hike. Want even more ideas?! Head HERE to download my exclusive Top 10 Spots to Elope in the Southeast!